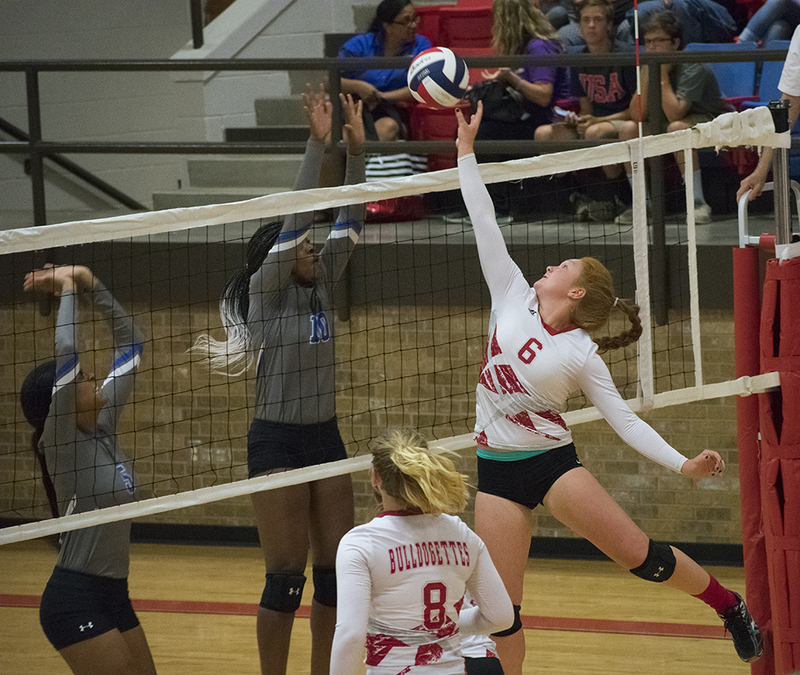 The Lady Matadors left Howard County with a victory against the Bulldogettes in a hard fought game of volleyball action Tuesday night at the Coahoma ISD competition gym. Lubbock Estacado won the game in three out of four sets - 25-20, 19-25, 13-25, 20-25. The ‘Dogettes came out strong in the first set jumping to an early lead before the Lady Matadors began building a 4-point advantage. By mid-set, MaKynlee Overton, who led the Bulldogettes in kills with 8 for the night, changed the momentum of the game after she slapped a powerful spike for the score. Julia Mashburn and Cassie Grant kept the drive going for the Bulldogettes by pulling off strong defensive saves in the next rally that ended in another Bulldogette score. Coahoma wrapped up the set with a 25-20 win. Fresh off the victory, the ‘Dogettes remained focused in the second set building an early 5-1 lead, but then the Lady Matador team began to methodically rack up points. However, Coahoma wasn’t finished. 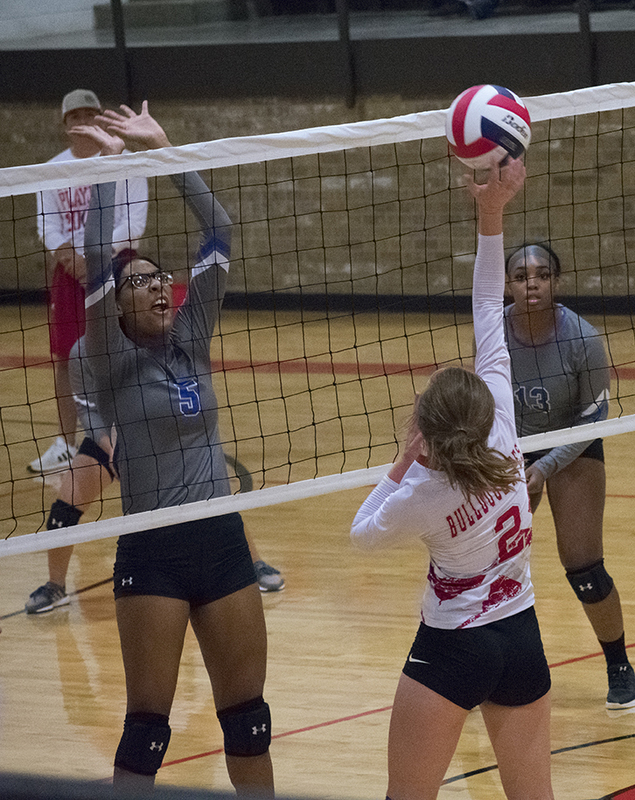 Falling to a 4-point deficit by mid-set, the Bulldogette varsity squad surged to an 18-16 lead before Estacado made one final push to end the second set 19-25. Estacado went on capture the next two sets. Adding to an outstanding effort by Overton on kills for the game, Kirah Kimball notched 6 while Sydney Rinard powered 5. Mashburn, who had 1 ace for the match, led with 13 assists. Ashley Romero recorded 2 acres for the night. Earlier in the evening, both Bulldogette JV teams lost against Estacado: JV White, 14-25 and 16-25; JV Red, 13-25 and 23-25. Up next: Coahoma will travel to Midland Saturday for a game against Midland Classical. The JV game begins at 12 p.m. with the varsity expected to start at 1 p.m. Kills: Julia Mashburn, 1; Ashley Romero, 4; MaKynlee Overton, 8; Sydney Rinard, 5; Kirah Kimball, 6; Caitlyn Corley, 1; Cassie Grant, 1.